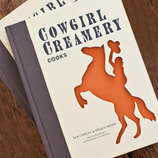 Michael Lee and Emily Sunderman are partners in life and in cheesemaking. They have been making cheese at Twig Farm, their idyllic 20-acre property just outside of Middlebury, Vermont, since 2005. 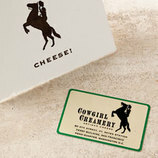 A small herd of pastured does produces most of the milk for their aged raw milk cheeses, and the farm also sources additional milk from neighboring dairies. 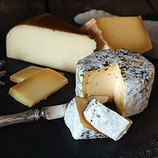 Lee, a former cheesemonger who honed his craft at Vermont's Peaked Mountain Farm, uses traditional cheesemaking methods along with careful affinage techniques to create award-winning cheeses with stunningly beautiful rinds. 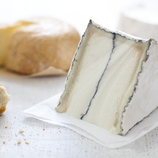 An earthy, soft gray-brown rind covers this dainty drum of firm, aged goat cheese. Underneath, the paste offers bright flavors of herbs and grass, a perfect reflection of the clean, delicious milk that Twig Farm's goats produce.